So, Been awhile... Thought Id post whats in the making. 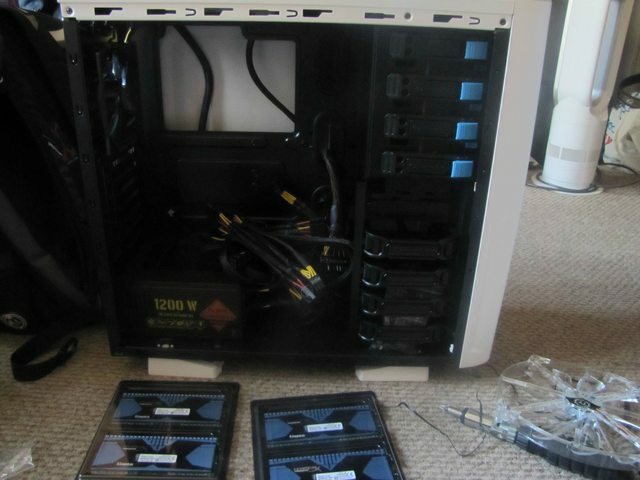 I'm building a new rig, and I am giving a rig to my friend for free, this is what I am starting my build around. Over today and tomorrow, I will be posting pics. Thanks Altsheep! I'm not gonna do anything crazy, just posting pics together as it builds, not pics per part just pics per part added. Also Buffalo mhmmm gotta love it and hate it. So who hates me for the teasing? FX-9590 incase those don't know. Good luck with the build, you are off to a good start. After sitting here for 6 months, I finally got my FX-9590 build up and running last night, I haven't had much time to mess wround with it yet, maybe this weekend but so far I like what I'm seeing performance wise. 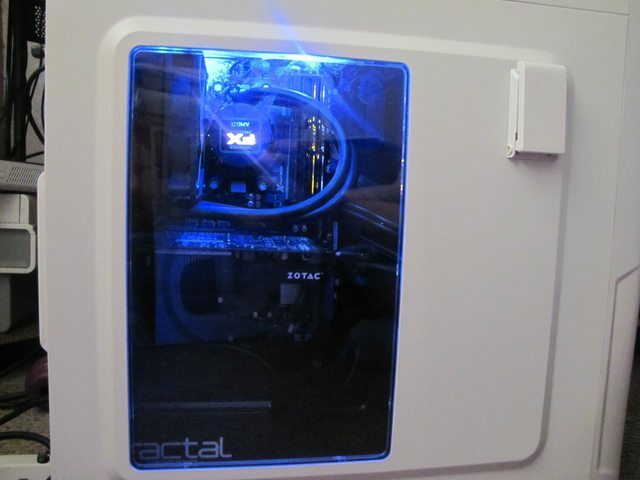 Used a 32GB 1866MHz memory kit, and a HyperX 3K 480GB SSD, for graphics the Sapphire 280X Toxic and for cooling the FX-9590 the Asetek V3 240mm AIO CPU cooler, Installed everything in a new white NZXT 530 that's been sitting her for awhile also installed the fully modular white NZXT 1200W PSU. You know I been wanting a AMD Rig, And I went for it. With prizes from the christmas giveaway I made it work. So... Without Further waiting, as I tried some stuff, had to attempt stuff, and the sore back that came from juggling between 3 computers. I present to you the last and final piece that I got! Lets go over a few things. 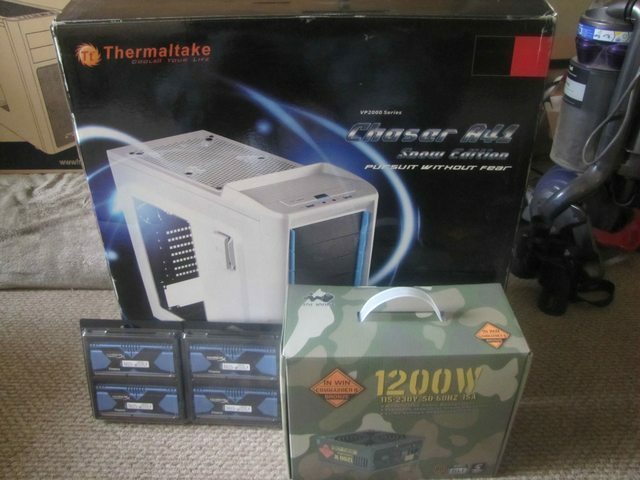 Its a Chaser A41 Snow Edition from Thermaltake I won during a giveaway, which also I won with the Kingston 16GB HyperX 1866MHz Memory Kit. Also from that giveaway was the Inwin 1200w Commander II Power Supply. 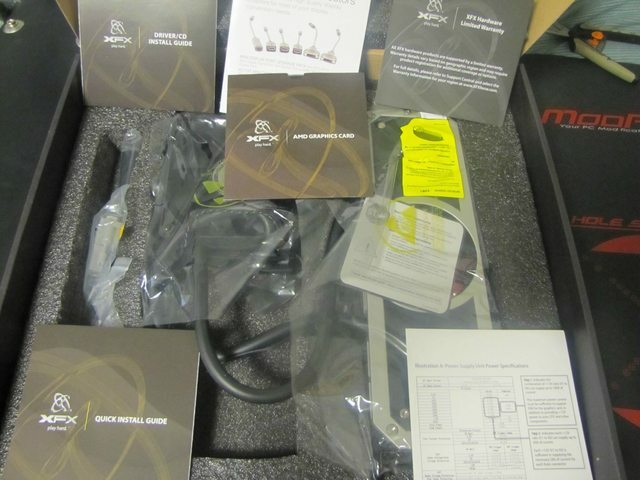 Other parts not mentioned is a 120gb SSD I had, as well as a 30gb Sata 2 SSD, and 1tb Seagate Momentus XT Hybrid Drive. So I pretty much had the base Build ready, I really did not feel like letting any parts go to waste, So I used what I could, Good or bad. So, there were a few hard parts about this build. First, A Suitable PSU, Making sure I had the power to supply what Is needed, For those who do not know, You need a PSU First for the 295x2 to consume 28amps PER RAIL/8pin. This PSU has 4 Rails, I used rail 4 and rail 3, Single connector ONLY, as they each can only do 40amps. Also don't forget the Molex Connector for the GPUs to receive a healthy current as well. This is key to know. Also the PSU with 2x EPS (motherboard 8pin's) Is needed, But one has to be a 4+4 pin. This is to make sure the 9590 receives healthy current the entire time, as the Asus ROG Crosshair V Formula Z has a dedicated 8pin and optional 4pin. Now, While I do now know that 2 cooler setups one being on the CPU as a AIO Cooler, and the other on the GPU which thankfully was a 120mm radiator as well, I ran into a issue. With both taking up space, The Biggest problem was, Where am I going to put these?!?!?!. I almost got rid of the CPU AIO because I couldn't mount it above due to Cables from the EPS Getting in way, as the Motherboard Layout ruins quite a bit of things. I noticed this usually happens on ROG Boards. Now with both figured out where to go, Cable Management was near impossible. 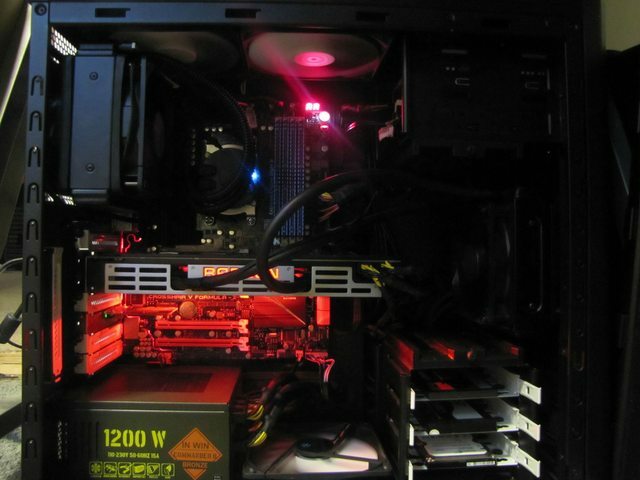 With needed 2 Dedicated rails to the GPU, I had 2 PCI-E Powers that are non modular taking up space, as well as a few others. 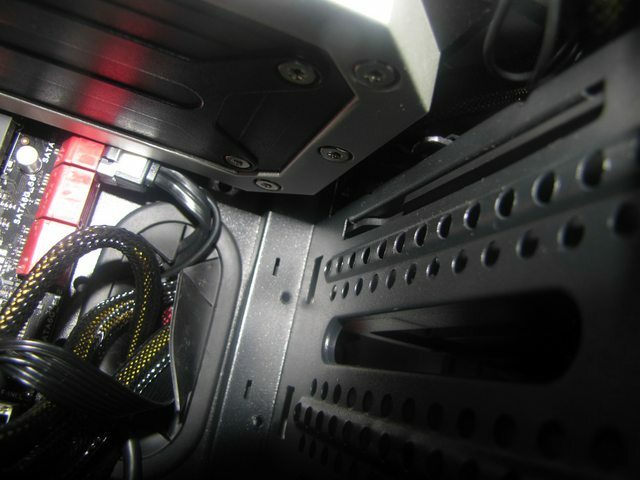 Including needing power for the Mobo 4pin Molex to the GPU, and 2x Sata cables, one for HDD's and one for the single DVD Drive (Cant reach with single cable). I was still SLIGHTLY able to manage putting it together. 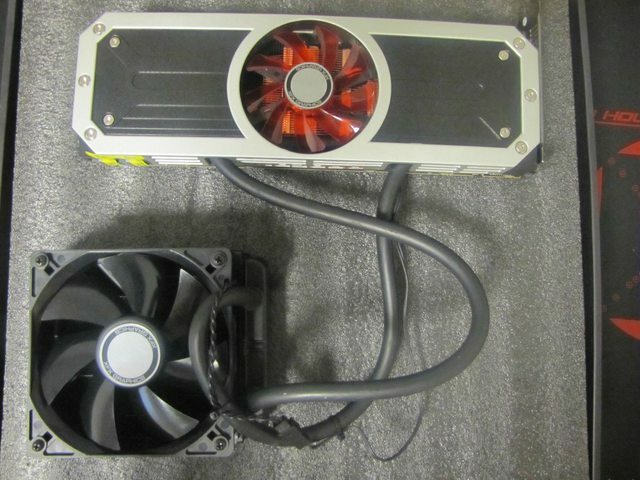 The one thing I wanted to do but could not, I wanted to make the 295x2 Radiator Push air into the case, not Push out. The reason I could not is because the radiator has to sit on the bottom of the case, as the radiator comes too much out the sides and would effect the PSU Cables more that were modular. So please feel free to Ask any questions for me. Look how close it was just for the gpu...haha! And of course, Windowed off, showing just the after glow of epicness. 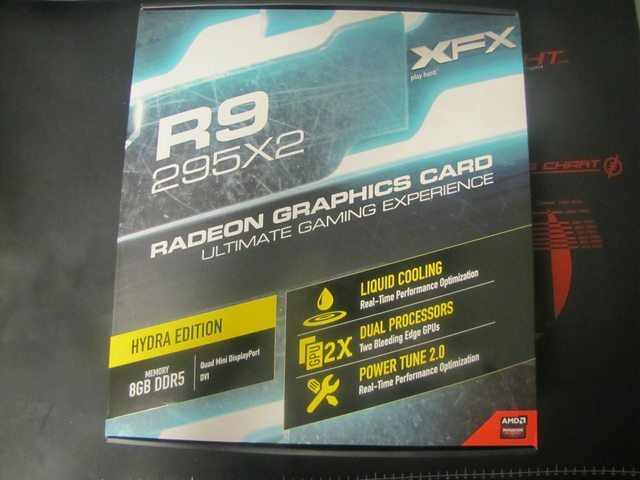 Congrats on the 295 X2, when you have some extra time run some benchmarks and post them, so we can compare them to the Sapphire 280X Toxic, and the Sapphire 290X Tri-X OC cards I have here. 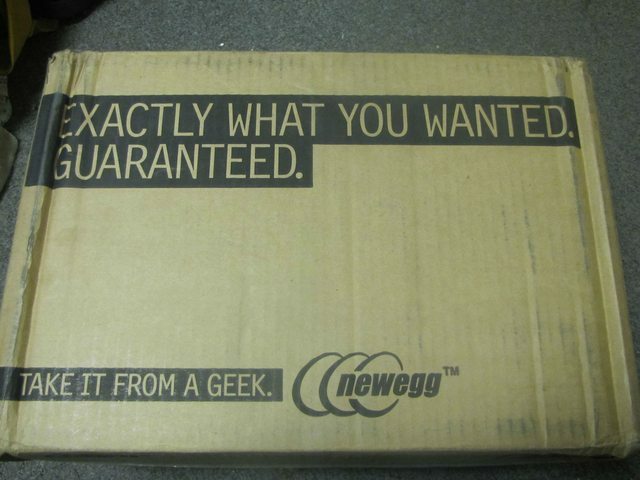 I should also be receiving either a GTX780 SC or the GTX780Ti within a week or two. How are your temps with the AMD AIO, also let me know if you OCed the FX-9590 and if you did to what? I was talking to someone from AMD and they hit a stable 5GHz with the AIO, I might install the TT 360 Ultimate and see if I can hit a stable 5.5GHz to 5.8GHz. Hope your starting to feel better. 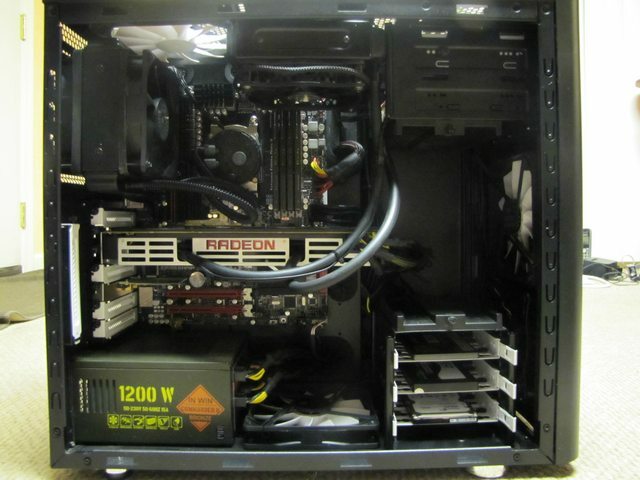 Nice build, too bad you could not put the fan on the other side of the rad to draw air into the chassis. At least there will be no dust collecting on the bottom under the case. Actually, I decided to stress the cables to the max for the PSU, added a fan, and switched it into a intake Push/Pull setup. I am actually debating right now to get rid of this chassis and put it in the Haf X I have sitting from my old build. So, I decided to do this last night, and then take pics in the morning. 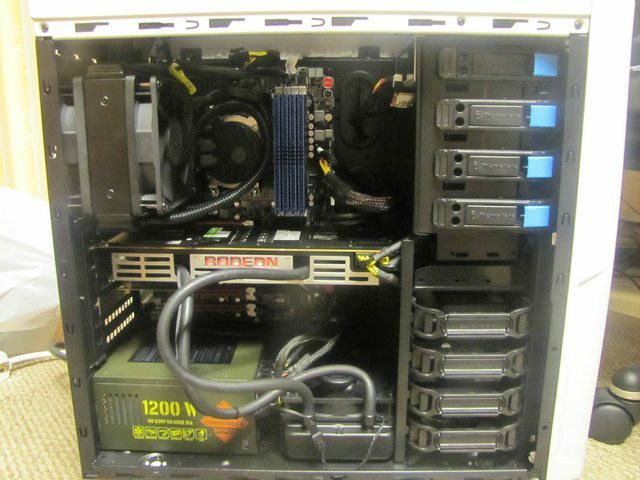 Here is the rig my friend is going to get, Still far better than his current. I got it as good looking I could for him, He needs to pick it up already! haha. 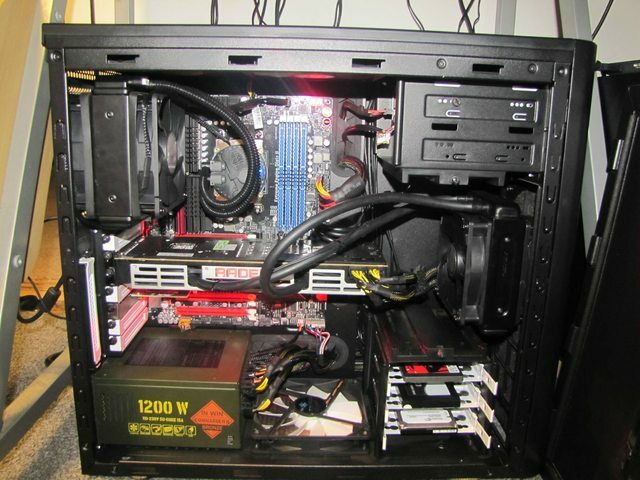 Then, While I went off and did that, Of course I had to swap out the new rig as well, and here it is! 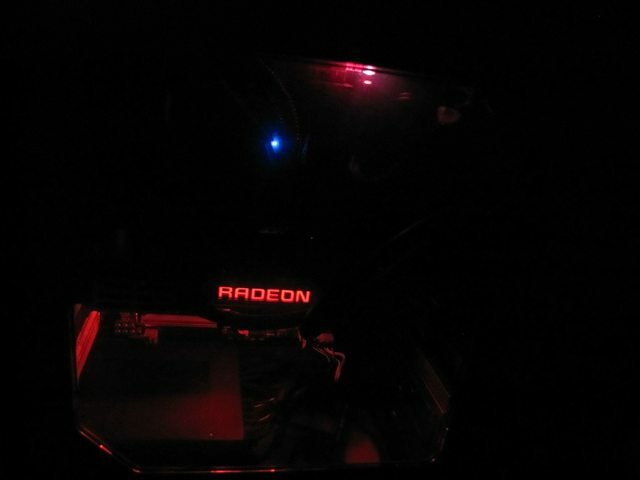 Look at Radeon Lurking in the shadows! And of course side panel off so you can see the rest. 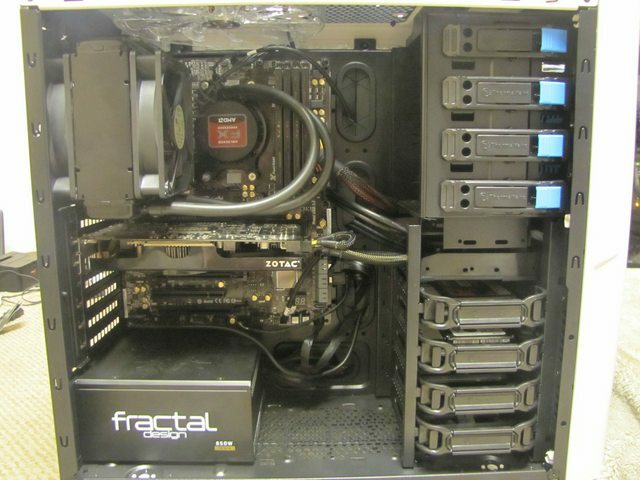 I facepalmed when I was changing out rigs too, cause I forgot to clean my buddies rig I am giving him, and well... I had to dust it out as well adding another ugh moment to my week haha. I love that build. 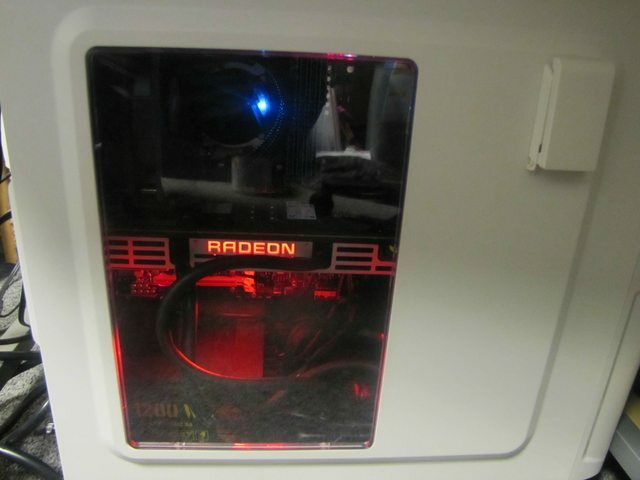 What a Primo GPU you have! The black case makes more sense for that build. Alright, So I gotta send out my memory at some point because of BSOD's at XMP Settings sadly, and yeah couldnt run P95 without a worker failing within a few minutes, so for now I put in my Avexir memory I reviewed. Also I tidied up a bit more, as I remembered what I couldn't do and tried it with the GPU and it worked, so now GPU on top and cpu on back for the radiators. Looks alot better now IMO. Looking very good, hope you clear up the memory problem. Looking good, now lets see some benchmarks ! Honestly, I dont know what people would like to see ran, Also this acts as a gaming PC so random stuff in background lowering score always gonna be there and not a super fresh install lol. Plus No idea what free benchmarks people prefer these days. Maybe toss a few suggestions and ill throw em together? How about 3d Mark, and Firestrike?